Spacious and fun pizza bar, with big wooden booths and tons of character. 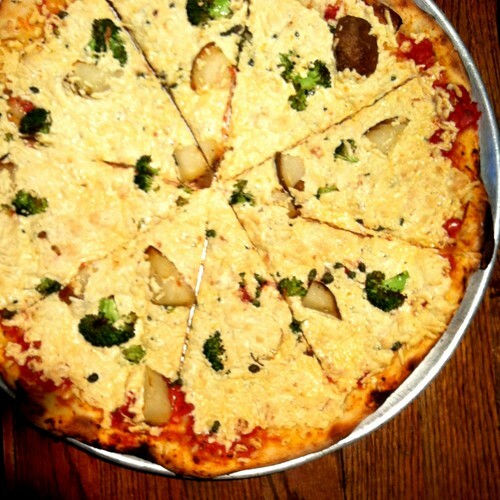 Thin crust pizzas with lots of fresh veggie toppings and Daiya cheese. There are pool tables in the back so you could hang out and play pool, drink beer and eat pizza all day. Yia Yia’s is a must if you are visiting Lincoln…. Or even if you live there! The environment is awesome, just like the food!